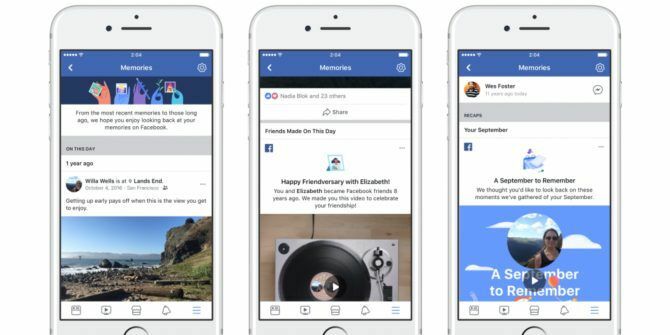 Buoyed by the popularity of its On This Day feature, Facebook is launching Memories. This is a new page dedicated to reminding you of your past, or at least the past you’ve shared with Facebook. Which, given the Cambridge Analytica scandal Why Facebook's Privacy Scandal Might Be Good for Us All Why Facebook's Privacy Scandal Might Be Good for Us All Facebook's mask fell following the Cambridge Analytica scandal, but it's not all bad news. Here's why it's a good thing this scandal made headlines worldwide. Read More , is probably too much. If you’ve read this far down you’re probably already well aware of how to use Facebook, but just in case, you should check out our guide to using Facebook How to Use Facebook How to Use Facebook New to Facebook? We'll teach you all you need to know about how to use Facebook in our guide. Learn how to create an account, find friends, and make the most of every feature! Read More . And while you’re at it you should probably gen up on how to use Twitter How to Use Twitter How to Use Twitter Twitter can be overwhelming at first, but we're here to help you make sense of it. Here's a complete guide to using Twitter and understanding how it works. Read More as well. Amazon Music Is Now Free for Amazon Echo OwnersThe True Price of a “Free” Facebook Account: Are You Willing to Pay It? Yeah, because people haven't been remembering things on their own since there have been people.